I’m reviving my ever-so-slightly neglected Swatch Saturday posts! These will be filled with images and swatches as opposed to my inane ramblings (woohoo!) and will hopefully showcase some of the products that I use regularly. 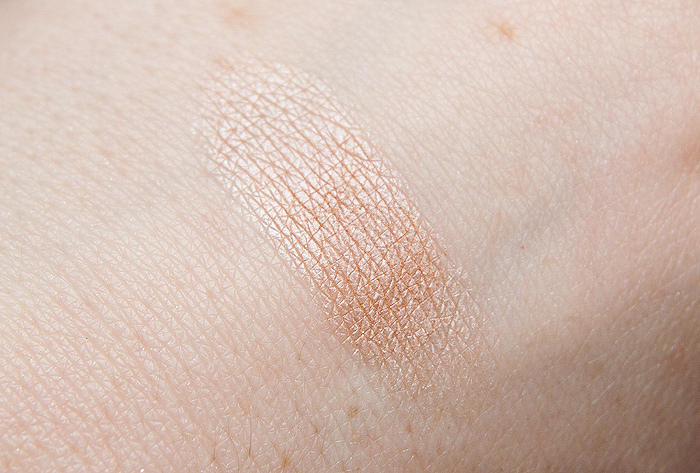 So here we go with today’s swatches of an eyeshadow that I’ve been using pretty much non-stop this week. 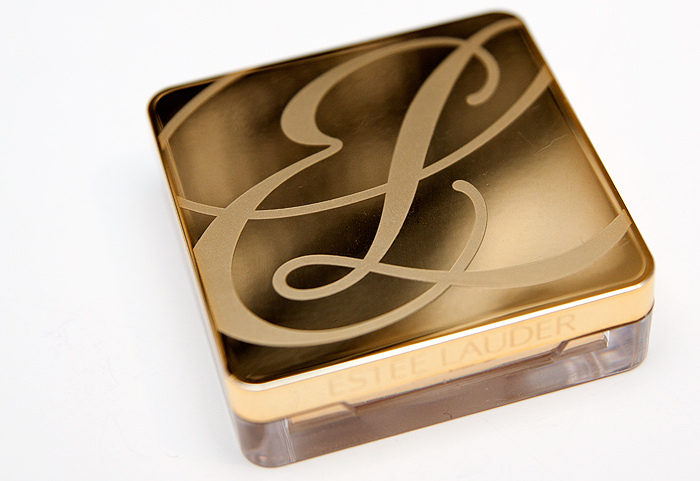 Estee Lauder’s Pure Color Eyeshadow in Sugar Biscuit. 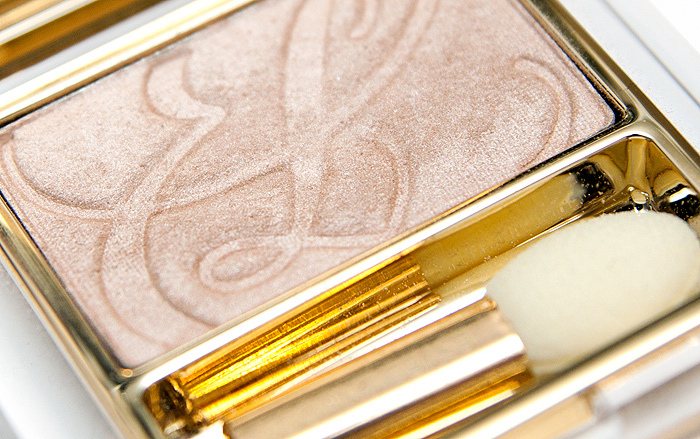 Estee Lauder Pure Color Eyeshadow in Sugar Biscuit has a satin finish that shimmers without being metallic. It is an integral part of my lazy day looks! A wash of it from lid to browbone will brighten tired looking peepers and give the impression of 8 hours sleep. Kinda. I usually combine with a taupe in the crease and lots of mascara! You can see it used in a quick look here. Estee Lauder’s Pure Color Eyeshadow in Sugar Biscuit is priced at £15.50 and available on counter or online (though currently OOS). What’s your favourite eyeshadow for all-over brightening? I love this colour, I have it in my kit and use it in some way on most of my clients. I find it a really useful neutral for under other shadows, for them to be buffed into. You know, when you get a shadow that doesn’t normally blend. If this is underneath it gives the best ‘slip’ for that shaded look! And you asked which is our fave for all over brightening? Probably this one too!! I love reading your comments Sam, thank you! I’m going to give that a go tomorrow, I have a few darker matte shades that are a bugger to blend but would layer beautifully over this one! The eyeshadow itself looks lovely but OMG, i actually gasped at that first picture! The packaging is sooooo lush! Isn’t it? You gotta love a bit of luxe! This looks so pretty! Is it a bit cooler than mac All That Glitters? That’s a shade I use a lot for a wash of color but sometimes it’s just a bit too warm for some looks. I don’t have All That Glitters I’m afraid…. um…it’s simillar to Femme Fi but a bit pinker if that helps?! Woooow, what an amazing colour! I simply love it, to be honest. I want it NOW!!! 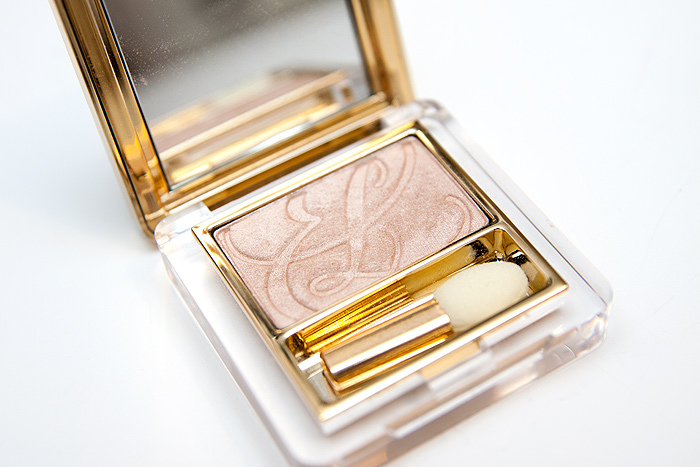 Estee Lauder products are so amazing. Yes, there’s not too much I dislike from Lauder’s makeup range when I actually think about it! Oooh jealous! Tempting mocha is on my list!! Also Enchanted Forest which is an amazing silvery green that somehow isn’t very green. Lovely! That’s a really awesome shadow, I’ve never really had a good look at EL shadows as I prefer my shadows on the brighter side, but maybe I should, this colour would be perfect for work. what a gorgeous shade! the shade name makes me drool ahha! Oh god yes! Imagine if they’d called it Sugar Chocolate Malteaser Whipped Cream Biscuit. Sales would have gone through the roof! Flex our combined beauty-buying muscles for less! Do a few millimetres really make all the difference?